Check Australian National and state Public Holidays for the calendar year 2017. 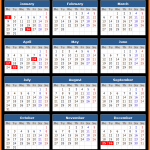 Check holidays dates in 2017 for New Year’s Day, Australia Day, Good Friday, Easter Monday, Anzac Day, Christmas and Boxing Day. Check Reserve Bank of Australia holidays for the calendar year 2017. 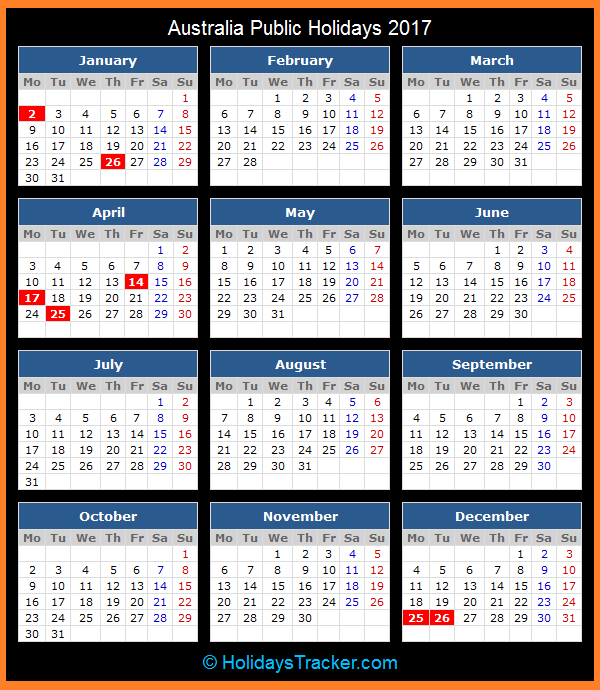 Check holidays dates in 2017 for New Year’s Day, Australia Day, Labor Day, Adelaide Cup Day, Canberra Day, Labor Day, Eight Hours Day, Good Friday and Easter Saturday.